At a rummage sale, Heather, a member of the Fireside Book Club, discovers a turn-of-the-century romantic advice book written by a once-famous Smitten, Vermont, resident. When she shares the precious volume with her friends in the club, they find clues about a hidden treasure rumored to be buried in their tiny town. As Heather, Abby, Lia, and Molly take turns reading the book, each projects onto it her own literary tastes. Heather sees it as a mystery. Abby discovers delicious dashes of Jane Austen. Lia sees in it the idealism of a bygone day. And Molly just wishes they'd made the book into a movie! One by one, each of the women finds romantic love--often in spite of the historic book's advice. And in searching for the legendary gold, the friends discover the best kind of treasure. The kind that brings hope and healing to each of their hearts. Additional notes: This is the third book in the Smitten series. You can read my review of the first book here and my review of the second book here. My thoughts: I think the only appropriate way to start this review is to share my condolences for Diann Hunt's family. Diann entered Heaven just a few short weeks before this book was released. 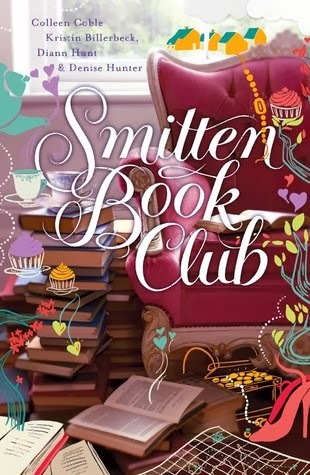 I'm not sure what the future holds for the Smitten series as Diann is one of the four wonderful authors who writes the stories included in the books. Diann will definitely be missed in the literary world, and I pray her family has peace and knows just how much Diann was treasured by her readers. Because of that, this book was bittersweet for me. It was hard to read, knowing that Dianne is gone. That being said, I thoroughly enjoyed the book. I felt the plot was well developed and thought out. The book and its characters were engaging to read. Revlon Super Lustrous Lipstick Just 72 Cents!